CDR Provencher was born in Chicago Illinois and received a Bachelors Degree in Business Administration from National University in January 1982. Following his Commissioning via Officer Candidate School he was assigned to USS KINKAID (DD 965). During his 42 month tour, he served as Combat Information Center Officer and Anti-Submarine Warfare/ AN-SQR-15 TASS Officer. As a Tactical Action Officer, he directed many real world ASW prosecutions during EASTPAC ASW patrols as a member of Destroyer Squadrons THREE THREE and THREE ONE. From August 1986 until January 1988, he was assigned as Flag Aide to Commander, Naval Base San Diego. Upon completion of SWOS Department Head School in June 1988, he was assigned to USS HEWITT (DD 966) for 30 months as Combat Systems Officer. After completion of a successful Western Pacific, Indian Ocean, and Arabian Gulf deployment with Battle Group FOXTROT, HEWITT was assigned to Yokosuka, Japan. In January 1991, CDR Provencher reported to San Diego State University for study in the Navys Education, Training and Management subspecialty curriculum where he earned a Masters Degree in Education Administration. Simultaneously, he completed a Masters Degree in Business Management from National University. In July 1992, he was assigned to the United States Naval Academys Seamanship and Navigation Department as Academic Officer and Instructor. He completed two Midshipmen Yard Patrol Craft summer cruises as Squadron Officer in Tactical Command for cruises along the eastern seaboard with visits to Newport, New York City and Halifax, Nova Scotia. In January 1995 he established PRECOMDET GONZALEZ as P-Executive Officer and commenced the commissioning process. He commissioned USS GONZALEZ (DDG 66) as Executive Officer in October 1996. In October 1997, he reported to Director, Theater Air Warfare Division (OPNAV N865) as National Missile Defense Action Officer. Additionally, he was temporarily assigned to OPNAV Defense Reform Office (N80E) to coordinate Defense Management Council and Under Secretary of the Navy's Revolution in Business Affairs initiatives. 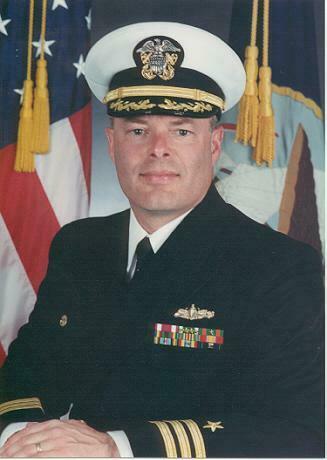 In September 1998, he was assigned as Chief Staff Officer for Commander Destroyer Squadron TWENTY THREE. The Little Beavers deployed to the Arabian Gulf as CARL VINSON Battlegroup's Sea Combat Commander and participated in DESERT FOX. CDR Provencher is the past Vice President of the Annapolis Chapter of the Surface Navy Association. His personal decorations include: Meritorious Service Medal, Navy Commendation Medal (5 awards), and Navy Achievement Medal (2 awards).